Visit SECOLOCATOR.COM to fi nd your local distributor and take charge of improving your drilling productivity. BE THE BOSS. 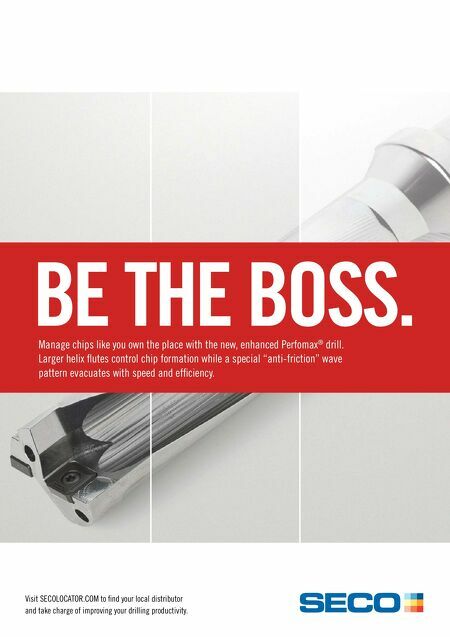 Manage chips like you own the place with the new, enhanced Perfomax ® drill. Larger helix fl utes control chip formation while a special "anti-friction" wave pattern evacuates with speed and effi ciency.